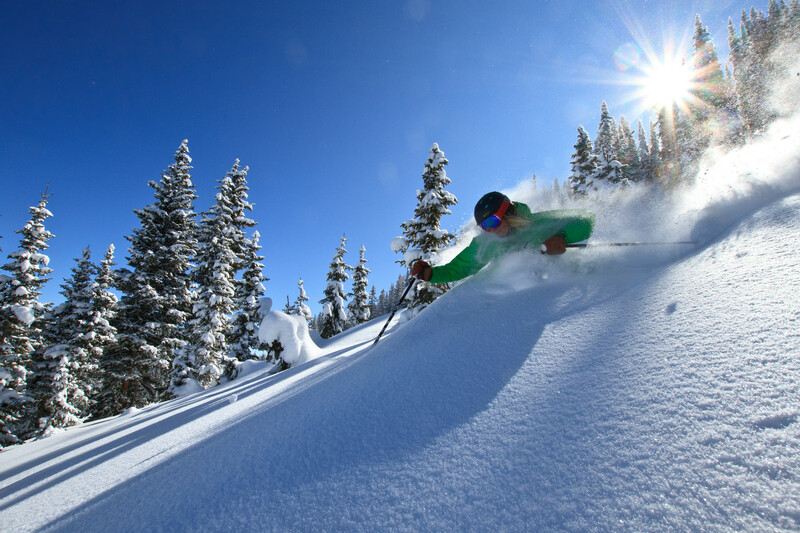 Located in the San Juan and Rio Grande national forest between Pagosa Springs and South Fork, Colorado, Wolf Creek Ski Area is known to have “The Most Snow in Colorado”. Spanning across a high alpine ridge, Wolf Creek receives an annual snowfall of 430 inches of natural powder and is known for its incredible hike-to terrain. Bonanza Bowl, Exhibition Bowl and the North Woods are accessible daily offering moderately steep through steep and rocky glade terrain. Prospector Ridge, the Glory Hole, Boundary Bowl, Montezuma Bowl, the Peak Chutes, Alberta Peak, Step Bowl, Knife Ridge, and Horseshoe Bowl offer advanced intermediate and expert only terrain with limited gated access. 20% of Wolf Creeks’ slopes are beginner, 35% intermediate, 25% advanced and 20% expert. Wolf Creek Lodge offers full service cafeteria; Prospector grill and cafeteria; Pathfinder Bar, full service; Apres Ski in Pagosa Springs and South Fork. Base Camp picnic building. First aid room. Rental and sport shop at area; shopping and services nearby. Wolf Pup for ages 5-8 years. School instruction offers classes in racing, powder, beginner's package, snowboarding lessons; Hot Shot Ski & Snowboard program for ages 9-12, experienced skiers. Child care in Pagosa Springs and South Fork.